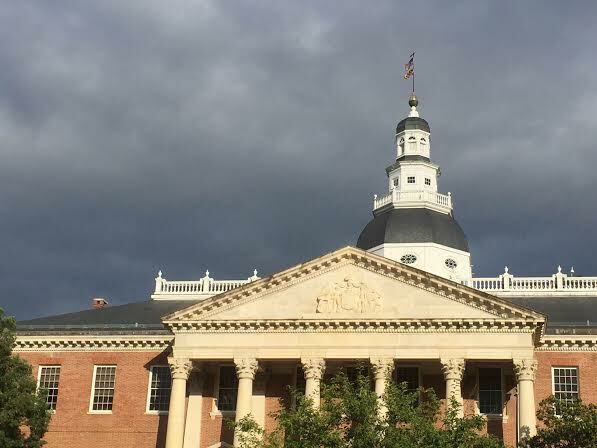 Maryland’s House Republicans say they will pledge their 42 votes as a bloc to one of three main Democratic candidates for the job: McIntosh, Prince George’s County Del. Dereck Davis, 51, or Baltimore County Del. Adrienne A. Jones, 64. There have been a number of activists on Facebook who are urging Republicans to nominate their own candidate for Speaker. Under normal circumstances, I would agree with that. We at Red Maryland have been critical of Republicans in the past for casting pro forma votes for Speaker Busch or for Senate President Mike Miller. But these are not usual circumstances, and this is not a pro forma vote. As we have seen, leadership changes in Maryland like this come about once in a generation, if that. Mike Busch’s term as Speaker began in 2003. His predecessors all served eight years as Speaker. The next Speaker will, in all likelihood, be in that position for the remainder of their legislative career. And we all know that the Speaker has tremendous power through the ability to set the agenda for the House of Delegates, primarily through the appointment of Committee Chairs and the allocation of members onto committees. And that’s why Republican attempts to have a say in the selection of the next Speaker is so vitally important. Let’s be realistic; none of the leading candidates for speaker, Dereck Davis, Adrienne Jones, or Maggie McIntosh, are going to be good for conservative interests. McIntosh, in particular, would be a nightmarish choice given her radical left-wing bent, questionable lobbying activities, support of Democratic crony capitalism, and her propensity to say off the wall stuff. But Dereck Davis also opposed a 15-cent fee cut and Adrienne Jones wants to control your thermostat, so no choice is really all that good. But there might be a way to figure out which of the bad choices are the least bad of the bunch. Perhaps one of the candidates is willing to provide more Republican input into committees or is willing to keep some of the zaniest legislation from the out-of-touch left bottled up in committee. Who knows what the agreement could be, but negotiating a fair deal with Republicans could be the difference between becoming Speaker and not. I get that some of the more idealistic among conservatives probably don’t find this type of compromise, negotiation, and transactional politics all that appealing. But at some point, you have to think about what’s in the best interest of the Republican caucus, the best interest of advancing conservative policy, and the best interest of Marylanders and taxpayers. If the Republican caucus can do that by playing Let’s Make a Deal with a Democratic candidate for Speaker, they absolutely should.